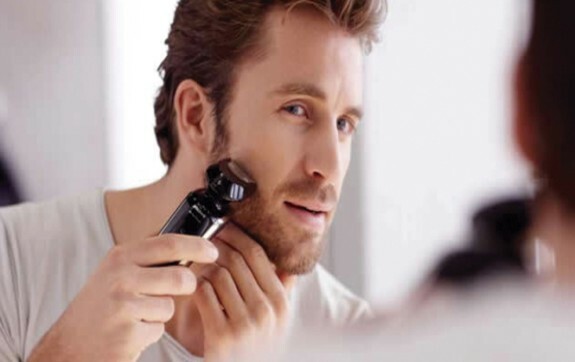 The hottest craze in the male beauty world nowadays is a product known as the electric shaver. They are expensive, and boast some pretty bold claims about how they save you time and money in the long term as well. Are these claims true? Can this battery powered product replace the century old way of shaving? Let’s dig in and see. Are Electric Razors Worth it? The answer to both questions is remarkably a yes. The way an electric shaver works is that it uses a motor to power a foil or rotary blade technology to shave your face and replace your standard safety razor and shaving cream. Even if you buy an expensive shaver, you will end up saving money in the long term because replacement blades and shaving cream add up a lot after a while. The only thing you`ll need to replace on your electric shaver is the head every 12-24 months because it will dull out. Aside from that, you essentially have a high number of shaves in your arsenal before needing to spend any extra money. If you do the math, you probably spend just as much money in a calendar as how much the high end electric razors cost. After that, the electric razor will end up costing you much less because you would otherwise have to continue buying replacement blades and cream! Do Electric Shavers Work Well? A very important question that many guys ask is if these products are even effective. Well, the answer is conditional and depends on what you are expecting and what product you buy. One crucial rule before we answer that is that you should make sure to buy an electric shaver that has been tested and proven to work well. Regardless, if you want a super close shave, you need to understand that a razor is probably your best bet. However, the more high end foil shavers can indeed give you a pretty smooth shave in just seconds as opposed to the 5-10 minutes you spend shaving. A rotary shaver with the circular moving blades is meant more for daily use but it does not get as close enough as it’s foil counterpart. Keeping that in mind, electric shavers definitely do work well nowadays and have some pretty incredible features that can save you time and increase comfort. The Ultimate Question: Traditional Razors or Electric Razors? This answer will usually come down to personal preference, so you should be the one to decide which is best for you. Many safety razor enthusiasts will never appreciate anything electric, but that is because they are set on the old ways and don’t embrace change. They do have a point regarding the quality of shave, however most guys nowadays don’t really want to spend several more minutes in the morning to shave their face. Furthermore, it is much easier to cut yourself by shaving with a razor than that of an electric. To end this discussion though, if you value the closeness of a shave more, go with a traditional razor. If you are more into convenience and saving yourself money, an electric razor would be your best bet. In the end, these hot items are flying off shelves for a reason. The technology that is integrated into the core of these products only seems to get better every year, and the big dogs in this space like Panasonic, Braun, and Philips Norelco will only improve and get to a point where you absolutely do not need the traditional razors anymore. For now, just simply try it out and see if you enjoy the benefits.